Legacy Polymers is a one-stop solution provider for sustainable waste and recycling solutions. We recycle plastic, cardboard, paper, wood, plastic pipe, metal, uncured rubber, electronic waste and any other materials you deem unusable. 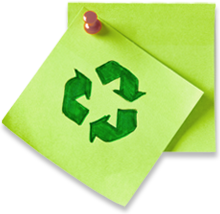 We specialize in developing recycling programs for our clients that streamline processes. We also assist in starting recycling programs, reducing waste hauling costs and generating income from the sale of your scrap materials. We are committed to helping our clients and helping the planet. We pride ourselves in creating innovative solutions to handle waste streams and increase sustainability. Jim Galvin founded Legacy Polymers and Recycling in 2008 and has over 20 years experience in the industry. The team at Legacy Polymers has extensive experience in manufacturing, pioneering recycling programs, working with state/local officials, and partnering with waste haulers to reduce what ends up in landfills. Legacy Polymers and Recycling is an American-owned and operated recycling company.